If you are preparing your home for the real estate market in Florida, you must create a welcoming and inviting atmosphere. 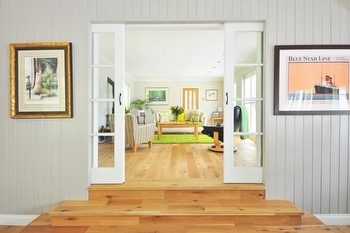 You want potential homebuyers to walk through your home and envision themselves living in the space. To do this, you need to properly stage your home. By skipping this step or by making a few simple mistakes, you can hinder the sale of your property and drive potential buyers away. Here are a few home staging mistakes that you want to avoid. Properly staging your home includes deep cleaning it. When your home shines, it gives off the impression that it has been well-maintained and the buyers will have fewer worries. Don’t just wipe off counters and sweep the floors either. Ideally, you want to scrub every inch of your home. Wipe down baseboards, dust light fixtures, clean out closets, etc. This is also an ideal time to focus on decluttering and removing unnecessary items from your home that are taking up space. You may use your kitchen and bathroom counters to store appliances and items that you use on a daily basis. However, when you store these products on the counters, they create a space that looks cluttered and messy. In the kitchen, your goal should be to store fewer than five items on all your counters. Items you may store could include the microwave, a set of knives, etc. For bathrooms, remove all items off the counters except for essential handwashing items like a towel and soap. Staging your home isn’t just about focusing on what the eye can immediately see. It involves every area including those that are hidden. This means you want to spend time cleaning and decluttering every closet and cupboard in your home. Many homebuyers will look in these areas to get an idea of their size and storage capabilities. By cleaning out these spaces, they will look larger and more attractive to buyers. Your goal is to make potential buyers envision themselves living in the space. By making the space too personal, such as including too many family photos, knick-knacks, and other family heirlooms, it makes it much harder to picture living in the home. As you prepare for your showings, remove many of these items and any unusual décor items that may be considered an eyesore. If you are ready to place your home on the real estate market in Florida, Carla at Global Life Realty should be your first call. She can help you properly prepare for your showings and receive a deal that you will love.